#LGBTWellness Roundup Asks: How Does Your State Rank In Trans Equality? The National Center for Transgender Equality expanded its library of state-by-state reports following the release of the national U.S. Transgender Survey last year. The reports are especially useful as states consider moves to advance transgender health equity – for example, New Hampshire, which just ended its ban on gender-affirming care for those on Medicaid. Reuters reported on the election of a transgender senator in Uruguay, a nation of 3.5 million people in which violence against transgender people is common. The newly-minted senator spoke eloquently about the compounded inequities faced by transgender people, and how factors like limited employment options and sexism work together to deprive them of good health. A study of Minnesota schools found that programs to protect LGBT students – like discussions on bullying, gay-straight alliances, and having an LGBT staff liaison – actually made schools safer for all students, not just those who are LGBT. These schools reported lower levels of bullying and harassment, which can mean better health and educational outcomes. The Daily Free Press reported on a panel hosted by Fenway Health on domestic violence in the LGBT community. Panelists discussed research showing that transgender people are frequently denied care after domestic violence because of their gender identity, as well as stats showing that LGBT people of color are more likely that other queer folks to face domestic violence. Researchers interviewed 38 queer men who use PrEP, the HIV prevention treatment, and found that experiencing stigma from both providers and other queer men was a fairly common experience. The men also said that accessing PrEP required them to have a high degree of “health literacy” and advocacy skills, suggesting that education is needed to increase uptake. A journal of the American Medical Association published an article on how providers can improve care for LGBT older adults, including the use of inclusive language, understanding the inequalities that queer folks face, and learning the healthcare needs of transgender people. It also pointed out that LGBT people may have different support structures and caregiver support. 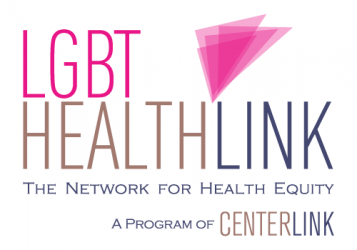 LGBT HealthLink provides trainings and technical assistance to public health officials, health systems and providers, and community-based organizations. To learn more and access LGBT HealthLink resources and educational materials, join our free membership!